For the last week I have been travelling in Croatia. We started in Zagreb then travelled to Split and Trogir, and we are now in Dubrovnik. 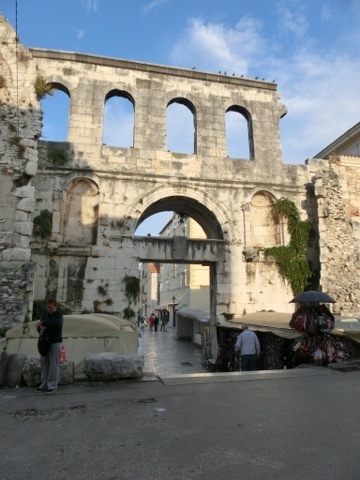 I haven't found many textiles of interest but the history of Croatia is fascinating. 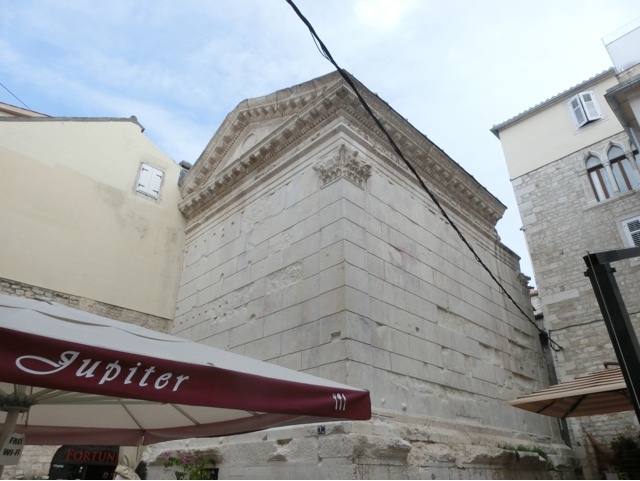 Split is a town built on and around a Roman palace, I found that incredible. The retirement palace of the Emperor Dioclesian was huge and the town was built inside its walls. It would be impossible for archeologists to excavate the town because so much of it is still lived in. There is even an intact Temple of Jupiter with an actual roof! 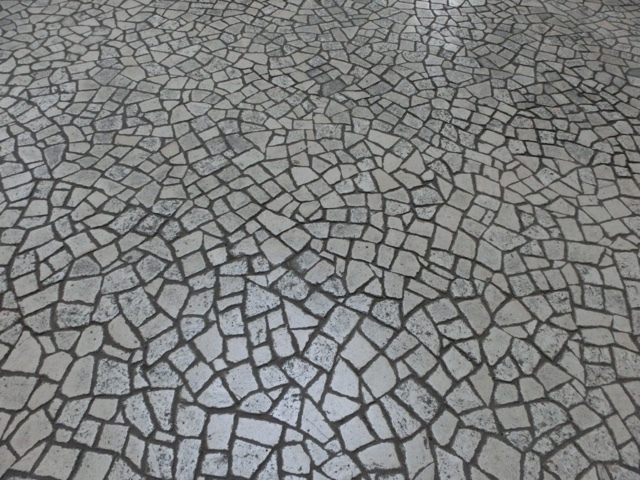 I have only ever seen ruins and floor mosaics before. We went to what was Yugoslavia for our honeymoon in 1972. There were wonderful textiles in one of the museums in Sarejyo but I am pretty sure that they were destroyed in the wars. And, yes, I do realise that is Bosnia, not Croatia, but we had two weeks on Croatian islands: Pag followed by Hvar. Wonderful but I would not go back because so much was destroyed that is better to live with my memories. There are also great textiles in the Applied Art museum in Belgrade which I went to while on a Danube cruise, so it is worth looking for things. 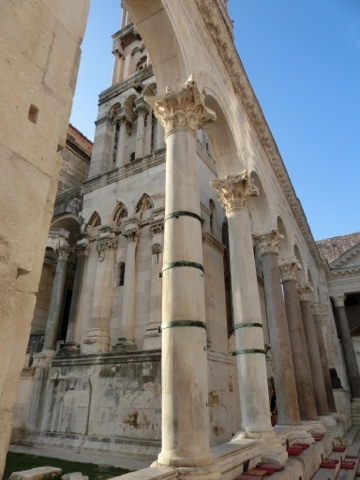 And don't forget the Venetian influence on Split and Zadar. As you say, fascinating. I was in Dubrovnik mid 1980s and the old nana's were still sitting out on their doorsteps in the late afternoon stitching.But so much and so many were destroyed during the war.